Introduction Walking along the beautiful streets of Hoi An town at night under the colorful lanterns always bring special feeling to any visitor to this town. 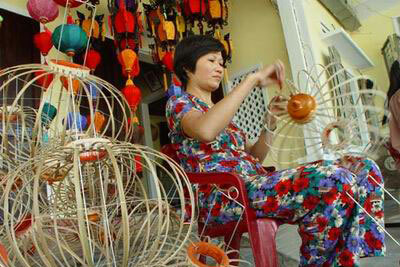 These lanterns are not only the symbol of Hoi An old town but also a part of Hoi An’s spirit. 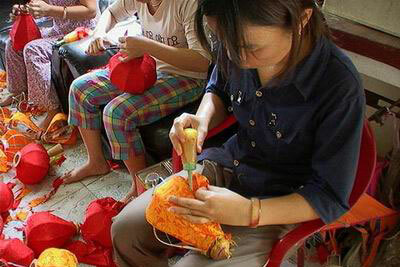 Hoping to present to you unforgettable memory we hold a tour to a traditional Hoi An handicraft village to learn how to make a lantern. At 8.00am, take a walk to the house of one of the most famous craftsman in the ancient town. 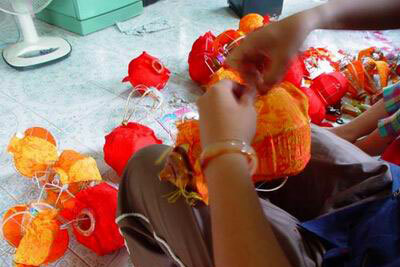 The host will introduce to you the history, shape, color and many stages of making lanterns. After that, you will be taught how to make your own lantern which you can keep as a souvenir. At noon, you can cook some local dishes and enjoy lunch with the host. Come back to the hotel around 1.00pm.